Do you need new garage door installed? Do you need any repair service on your garage door, your garage door spring is broken? Do you need new garage door opener? When you want yor garage doors done right the first time, think of us first. 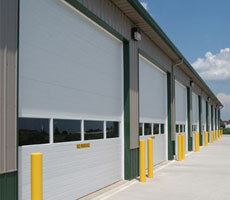 We install, service and repair all major makes and models of garage doors and openers. Makuch Garage Doors is known for quality, timeliness of service and attention to detail. Our skilled technicians will handle any job and get it done right to your complete satisfaction! FREE Estimates Give us a call and we come out to you. Consultation We will work with you to get the best quality products at a price you can afford. Quality Service We take pride in our work and satisfying our customers. Whether you want your existing door serviced, add a garage door opener, have safety features installed or just get a new garage door - we have it covered! Purchasing a right door for your home is a difficult decision. Many times the door is one of the largest items a neighbor or a guest will see. You want to make sure that you will purchase a door that fits your home not only aesthetically but architecturally as well. Makuch Garage Doors will help you in your design process from start to finish. We have many styles to choose from and if custom doors are what you are looking for, we will work with you to design the perfect door. Don't forget to complete your door purchase with one of our door openers. Available in many colors and styles and are very energy efficient. The most common door with great durability, low maintenance and exceptional performance. Wood Doors give your garage a very distinct and sophisticated look. Made of the fines wood available with detail finishes and specific hardware. When traditional doors won't do. We can show you various materials, colors, styles and custom hardware to fit your taste and style. Contact us today to schedule a design session. Factory paint and woodgrain (stained wood) print finishes available. Insulation is optional. 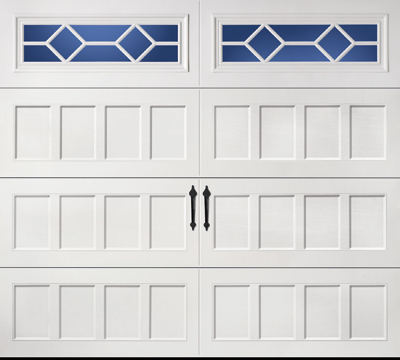 Constructed of durable steel embossed with a natural wood-grain texture, this budget friendly line of garage doors is available in long or short grooved (beadboard) panel designs with various window combinations and hardware for a one-of-a-kind look. 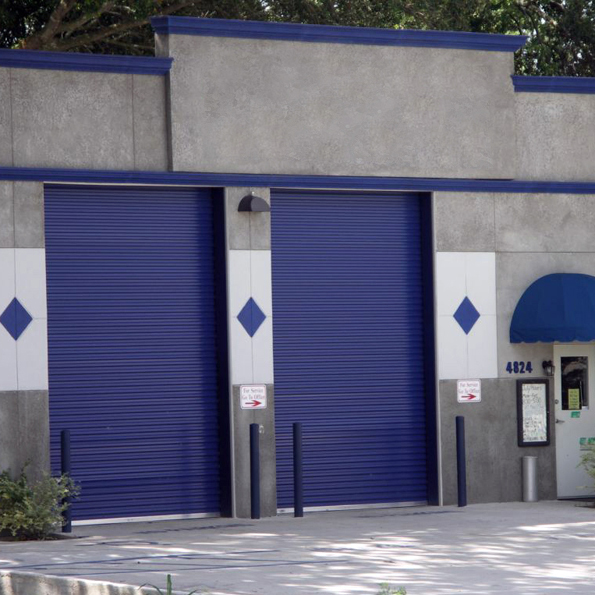 Whatever your business needs; existing door serviced or custom door or safety and security features installed, we can order any kind of door and accessory to keep your business secure and efficient. We are a certifed dealer with all the major manufacturers. We can assist you in your commercial door purchase. We carry various styles from many manufacturers. Our professional sales and installation team will make sure that your business' needs are taken care of with minimal interruption. We are a one stop shop so please do not forget to check out our commercial openers while you are shopping for your commercial door. Engineered for high cycle applications, this model is a great door for most docks orwarehouses. Our garage door experts are specially trained to keep your garage door and opener running smoothly. We service all makes and models of doors and openers. Broken springs are just one of our specialties. Makuch Garage Doors technicians stock parts on their vans so they are ready to do the job when they arrive at your home. Whether it is to repair or replace your garage door or opener, we can do the job! For customers looking for additional accessories, without a service call, we have a parts center in Beaverton that stocks an array of items. Why should I use a professional garage door dealer/installer? Is 25 gauge steel thicker than 24 gauge steel? 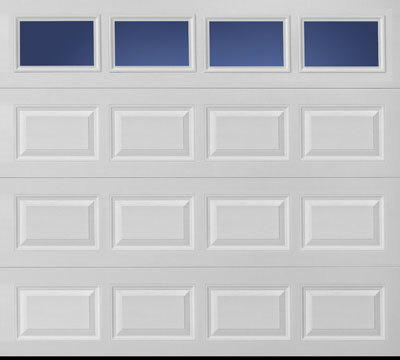 Why should I choose an insulated door if my garage is not insulated? What are the benefits of a steel door versus a wood door? What is required for installing an electric opener? I want to replace my old door, but don't know how to dispose of my old one. Will Makuch Garage Doors take care of that? When I replace my existing door, can I keep my old track? I have a one-piece door now. Can I replace it with a sectional door? I'd like to purchase steel door, but need a color other than those you offer. Can I paint the door once it's installed? Are special size doors available? I have a custom-built garage that features an unusual size door. My garage has very little space (headroom) above the door. 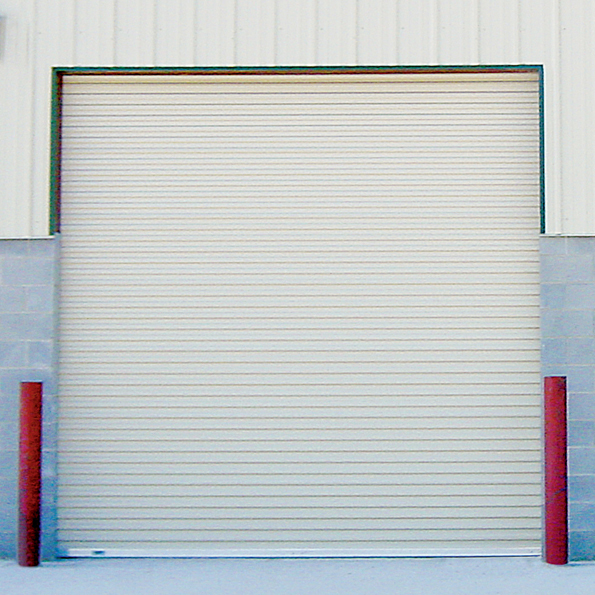 What is the minimum headroom required to operate a sectional door? I'd like windows, but I'm concerned about security? I've been comparing R-values of various doors and am surprised at the variance among them. Can you explain this? How do I know if my door is properly balanced? Do I need a lock on my garage door? What type of spring is better, extension or torsion? How do I paint a wood door? What type of care and maintenance is necessary for my steel door and hardware? 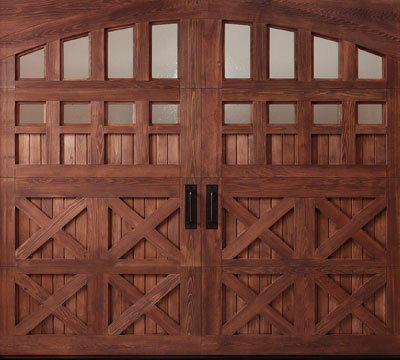 What is a carriage house door? What is Wind Load? And how do I know if my garage door needs to be a wind load door? Does Makuch Garage Doors have product that qualifies for consumer energy tax credits per the American Recovery and Reinvestment Act of 2009? What qualifies a garage door for this tax credit? Under this policy, how much credit may a homeowner receive? What does a homeowner need to do to obtain the tax credit if the garage door that meets all the qualifications? Does an Makuch Garage Doors insulated door with windows qualify for the Energy Tax Credit? How do I learn more about the homeowner energy tax credits available due to the American Recovery and Reinvestment Act of 2009?